Earlier this month, we attended the Samsung Forum 2016, where we saw the latest and greatest Samsung home entertainment – all slated for sale this year. One of them was the Samsung K8500 4K UHD Blu-ray player. Let’s take a closer look at this Ultra HD Blu-ray player designed to complement Samsung’s 2016 SUHD TV and Smart TV models. 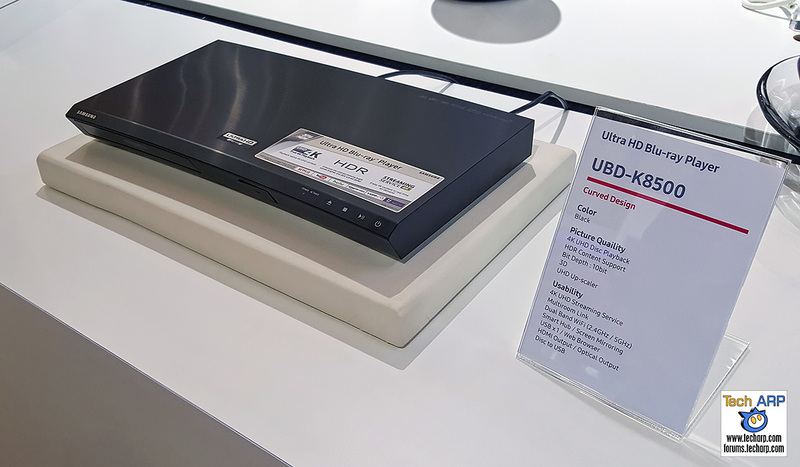 The Samsung K8500, or as it is officially known as – the Samsung UBD-K8500, is a Blu-ray player that supports 4K Ultra HD movies. Its built-in upscaling engine will automatically upscale lower-resolution content to full 4K resolution for display on your 4K UHD TV. The Samsung K8500 also doubles as a streaming hub, allowing you to watch 4K videos from your favourite streaming services. You can either connect a network cable to its LAN port, or stream your videos to it via built-in WiFi capability. As Samsung’s top-of-the-line Blu-ray player, you can expect nothing but the best features built-in – HDR capability, wider colour range, Dolby Digital 7.1, DTS HD Master Audio and Dolby True HD.